Product information "Business bag GALILEO 1.0 of brown leather"
State your individuality with the portfolio bag GALILEO GALILEI 1.0 made of brown organic leather: a perfect eye-catcher with an exclusive design. The portfolio bag GALILEO of brown organic leather is a necessary accessory to adorn and get yourself seen. This piece is designed in a retro style and is timeless due to its classic, elegant look. Emphasize your dress style and show who you are! 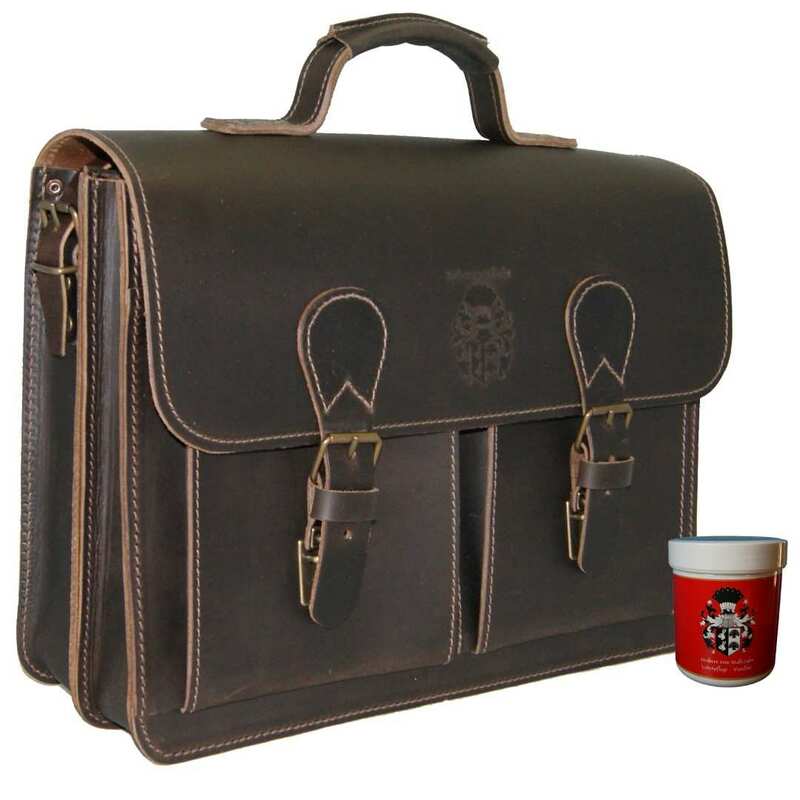 You can carry this briefcase by hand or casually over the shoulder. Don’t think about it: you will always look astonishing. 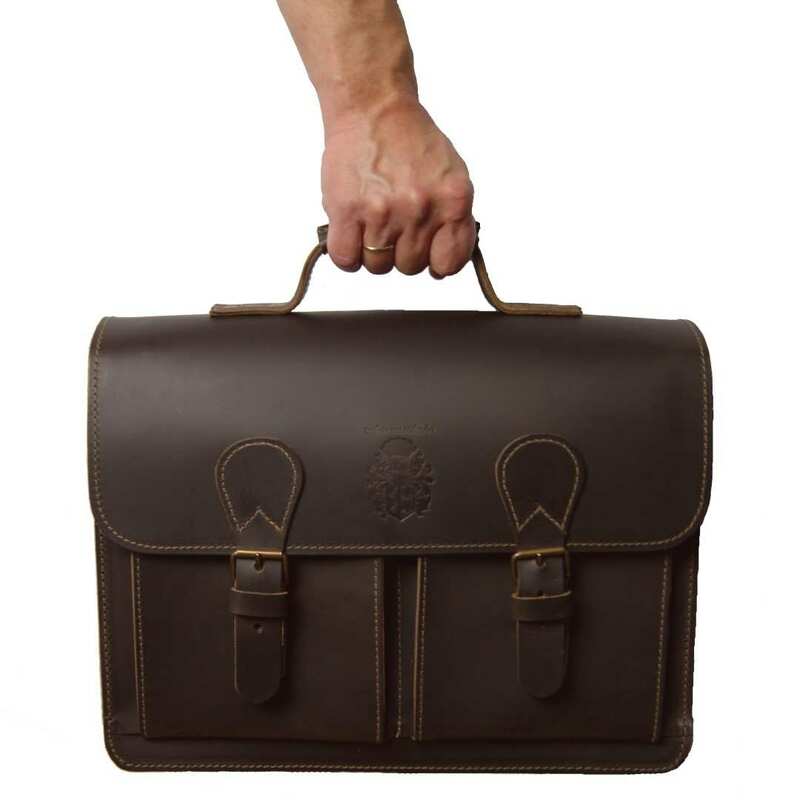 Our business bag GALILEO of brown organic leather has two big main compartments. Daily objects like a notebook and file folders, brochures, catalogs and more will find loosely their place in there. 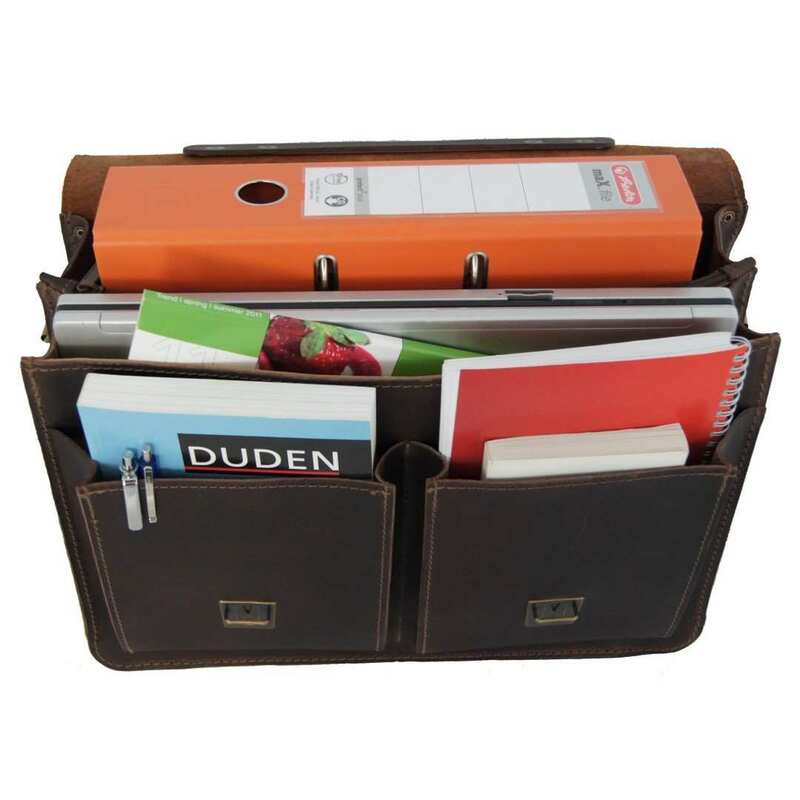 The extra zippered compartment in the middle is perfect to store important documents, where they will be safe from unauthorized hands or curious eyes.The comfort of this briefcase is rounded off by two front pockets, where little objects as pens, a smartphone or other personal belongings can be placed and grabbed quickly if necessary. 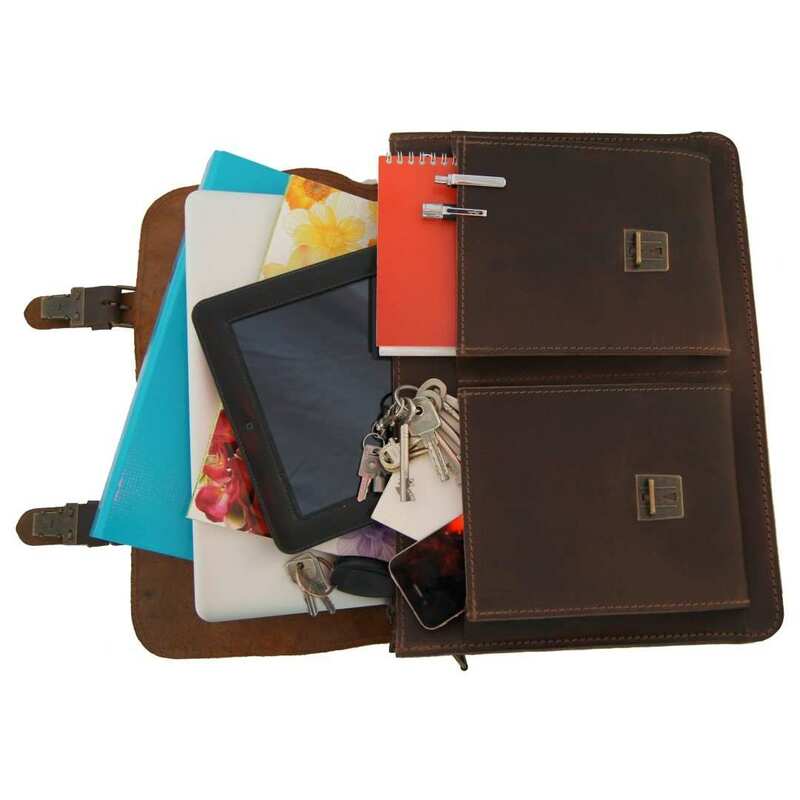 This briefcase is made of very resistant and sturdy 2.7mm thick leather. Every single piece has been sewn by hand with extra strong thread. The handle is fixed to the leather by two rivets on a metal plate. Valuable metallic locks finish this fine model. 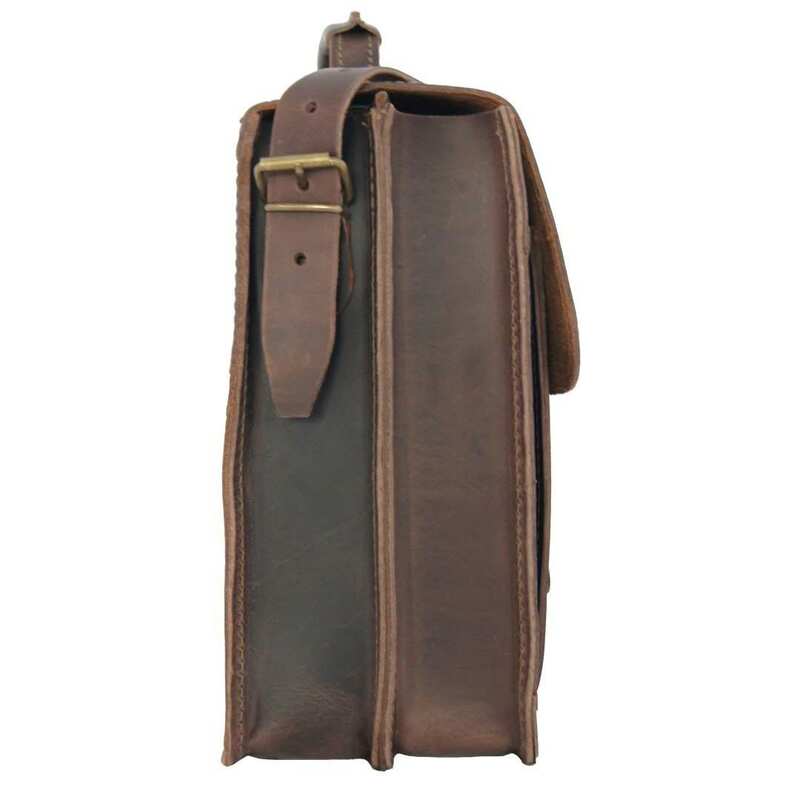 The total size of the business bag GALILEO of brown organic leather is 15.7 x 5.5 x 9.4 in (40x14x34 cm). The bag includes a 51.2 in (130 cm) shoulder strap that can be adjusted to your preferred size. 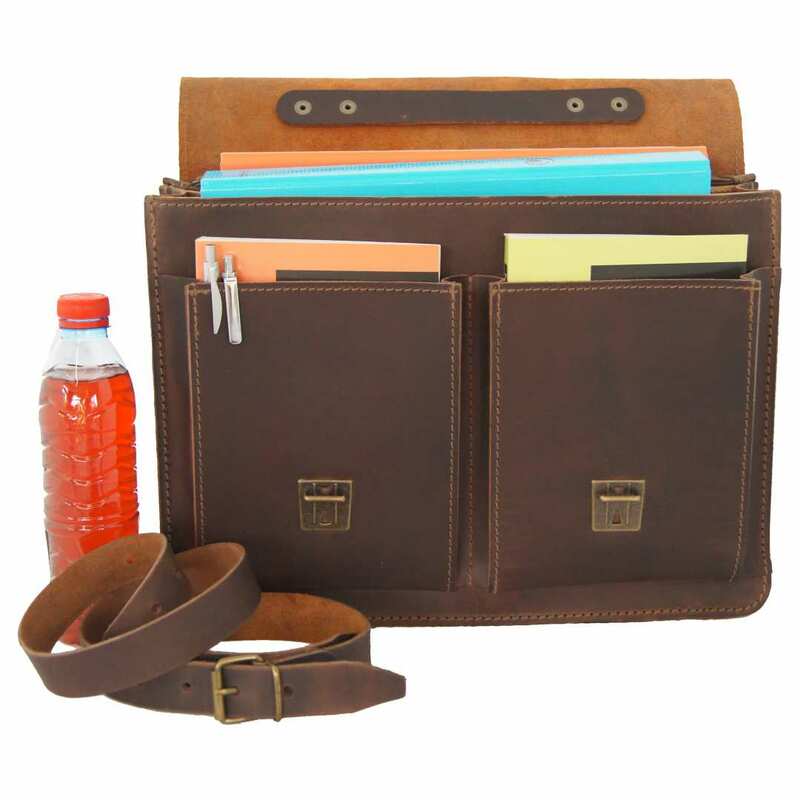 Reviews for "Business bag GALILEO 1.0 of brown leather"